Grandchildren More…- up to 14 now - Brandon has Faith, Rhema, Justice, Elijah & Saber ...Jennica has Jackson, Grace, Cole & Alex ... Mallery has Rylee & Chloe.... Evan has Madysen & Mackenzie & Ayla .... Alexa & John haven't begun that part of their lives yet. Hmmm, got married the 1st time on my 20th Birthday. Moved to Grande Prairie & back the next year. Worked various lame jobs & then went into Barbering/hairstyling. Graduated & became a father 1979. Opened my own shop in a little town in Princeton, BC for 6 years. Year after my son was born, we had a daughter. Sold my business in '85. On my 30th birthday I became a sales rep to hairdressers & had a career in that for over 20 years. Got born again in 93 & my life turned completely around & I truly became a better person. Moved to Kamloops in '98 - became a grandad in '99. Got divorced in 2001. Went to Kenya in 2001 2 weeks after 911 for my first mission. I experienced praying for people & seeing actual physical healings right before my eyes. I could never be the same again. 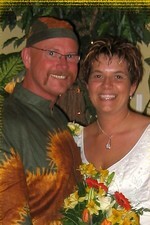 In 2003 I began courting Renee & later that year we went to Kenya together. I stayed behind for 5 months & she went back to Canada after her 2 weeks there. I went back in Feb 2004 & we wed in March. We helped pastor a new church in Kamloops for a couple of years. Then we joined with International Mission Support in 2005. We took teams of people to Africa for short term missions & then went full time in 2007. These days - we spend half the year in Canada & the other half in Africa. On the trip back & forth we spend several weeks in the UK networking with various ministries, sharing what we do, preaching & teaching in churches, ministries & with individuals. We are considering staying for longer periods in Africa as this is where the majority of our ministry is. If you'd like to spend some time there with us & experience the culture & needs of Africans, give us a shout. Across Canada as far as Montreal, 10 countries in the Caribbean, Florida, California, Nevada & other states, England, Wales, Kenya, Uganda, Tanzania, Holland. I think that's it. I sometimes wonder why I went through Grades 11 & 12 as I spent most of my time skipping out at the pool hall & playing pinball. When I was at school, I spent a lot of time in pot-smoke-filled vehicles in the school parking lot. I was so gone. I'm not entirely sure how that equipped me for life. I am glad it's behind me. GREG PLUNKETT has a birthday today. 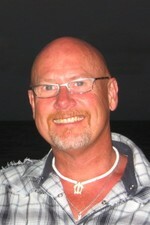 GREG PLUNKETT updated profile. View. 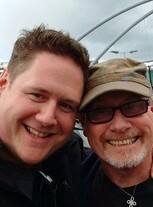 GREG PLUNKETT changed profile picture. GREG PLUNKETT added a comment on Profile. GREG PLUNKETT added a comment on Profile. New comment added. 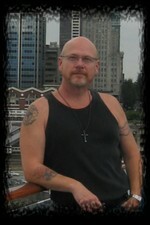 In Vancouver's harbour just before a cruise down to LA.